There are many reasons a person may want to go fishing. I could list the reasons from Action to Xcitement alphabetically, but the important words this time in the above sentence is “a person.” Singular, “a person” by him or herself, loner, a lone traveler or perhaps the only person of a larger group possessing the urge to go fishing. Imagine a person is traveling to Chicago or Northwest Indiana on business, to visit parents or other relatives. Imagine an avid angler person sharing a vacation to the area with his or her spouse but the spouse has no desire to go fishing. 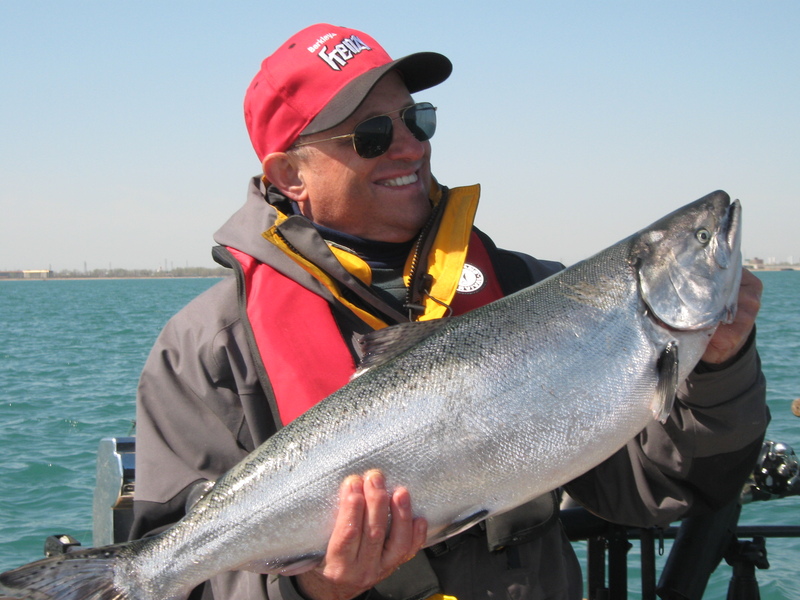 Perhaps a fishing oriented person has heard of the world class fishing available on Lake Michigan and wants to sample it but has no regular fishing partners who share the same desire. Pick a reason, A to X (or Z). I set the prices for fishing trips on the Brother Nature trying to make them affordable for smaller groups. Still, I can’t afford to make a trip for two half the price of a trip for four or a trip for a single fisherman half the cost of a pair of fishermen. Basically, a single person has to pay the same as I charge a pair of people. Two people can’t go with me at the same price per person as three or four people. For some - several each season - price is not enough of an issue to cause them to shy away. They plunk down the price of a two person trip and off we go, just me and him. I’m sure there are many others who check out my website, check out my prices but decide the single person rate is just more than they are willing to spend. I don’t fault them. If nothing came with a price, we’d all be driving Cadillacs. 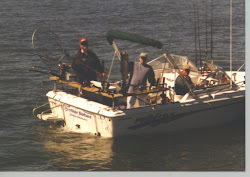 Over the winter I heard of a company called Share a Fishing Charter. Their business model is simple. Charter captains like me list with them. Individuals or couples go to their website (www.shareafishingcharter.com) pick a date they’d like to fish and sign-up for it. Or they can look at what date others have pegged and see if that day works for their schedule. Either way, once three people sign up for the same day, all are contacted (along with me) and the arrangements are made. The individual anglers get to go fishing at a very more affordable rate than going alone, I get a booking for the day and Share a Fishing Charter earns a small commission. Everyone wins except the fish! Check out Share a Fishing Charter and sign up for a fishing trip with me. If you are planning a trip other than to Indiana, check out their other listings for sharing partners in other places. I know I will. "I WARM" IN "I FLOAT"
In my mind, if the ice an ice fisherman is planning to traverse is such that wearing a PFD seems sensible, it seems more sensible to find some other activity to pursue. How about waiting for ice conditions to improve? How about waiting for the ice to melt away so it's possible to fish from a boat? How about traveling to a place where winter is sufficiently absent to allow fishing from a boat all year long? Last summer the Frabill company unveiled a new product in their line-up of cold weather wear called the I-Float Jacket (and matching bib overalls) as an "ice fishing" garment. It won national awards in the fishing industry. The parka’s name, “I-Float” alludes to its multi-tasking purpose. Much of the insulation material in the jacket is made from a closed cell, buoyant material - the same stuff used to make life jackets. There's enough of the flotation material used and incorporated in the right places inside the jacket to allow the U.S. Coast Guard to put its "seal of approval" on the garment as a certified, wearable, personal flotation device. I start my Lake Michigan fishing season in late winter (usually mid-March) and since the cold water in Lake Michigan delays spring-like conditions often well into May, I'm no stranger to winter parkas. I’m also well aware of the increased danger associated with boating in extremely cold water. So Frabill’s "I" parka didn’t appeal to me as an ice fishing necessity, but it did peak my interest as a multi-tasking coat, actively able to keep me comfortably warm on my boat in extreme conditions and passively providing me a comforting level of safety I hope to never need. 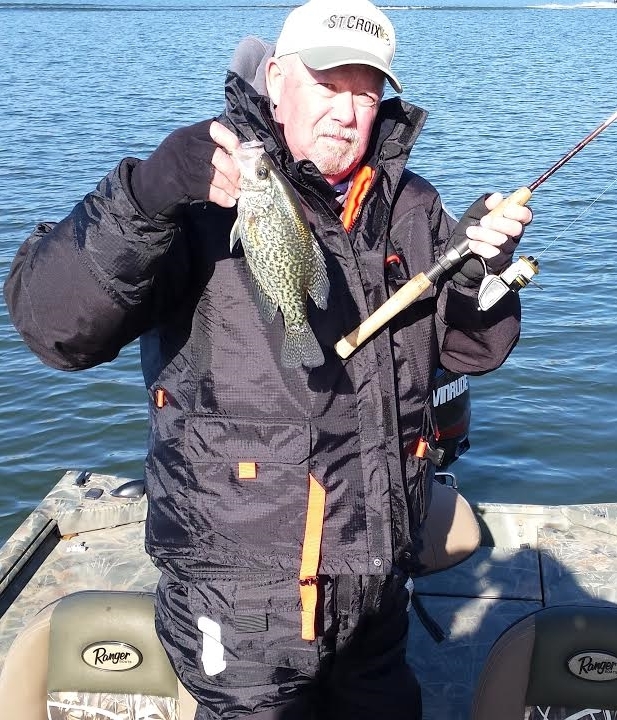 I had the chance to try out my new I-Float Jacket and bibs on an early February crappie jaunt to Lake of the Ozarks. LOZ is just far enough south to preventing it ever freezing; far enough north to warrant warm clothes needed, most February days. It’s available in stores and on-line at a variety of prices. Shop before you buy.